If you didn’t know already, the internet is going mobile. More and more people are accessing the web from mobile devices like tablets and smartphones. If you own a small business and you want it to be a success, you should use a responsive WordPress theme for your small business blog. In order for your business to compete and thrive in this new virtual reality, it is very vital that your WordPress theme supports responsive Web design. You might be asking what responsive WordPress theme means. Basically, it means that the design of your WordPress theme adapts to different browser sizes. This is so that you won’t be needing a separate mobile site or mobile plugin for your small business blog. The content of your blog will be resized and rearranged to fit smaller screens. 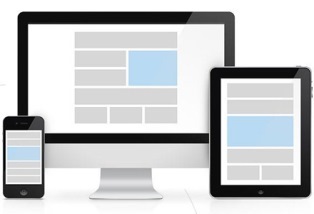 Responsive Web design allows web pages to display content far more clearly to visitors using smaller screens. This leads to an improved browsing experience. 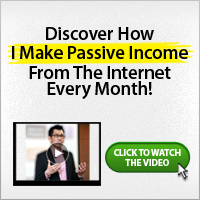 From experience, this result in more conversions and revenue for small businesses. There are a number of ways to convert an existing WordPress design into a responsive one, but the easiest is simply to purchase a high quality WordPress theme that comes with responsive Web design built-in. You can also get lots of free responsive WordPress themes from WordPress’s theme directory. Whichever responsive WordPress theme you go for, just make sure it serves what you really need it for. Select the one that will automatically adjust the layout, menu items, and images to render nicely on desktops, laptops, tablets, and mobile devices. Google suggests a responsive design to encourage a better online experience (and they’ll give you a boost in the SERPs if you do so). Google has also been testing out an addition to the SERPs. When users are searching on mobile devices, Google will show a mobile icon indicating to the searcher that those sites are mobile friendly. Make sure your small business website is as accessible as possible. you gotta help me here. On my site, google adsense ads is showing but when i check my adsense account it still read “your account is under review.” What can i do or what is happening. Also, are there other means i can get ads on my webpage. I can’t find google adsense on your site. It’s not showing. thanks for this post.but you should have listed some responsive themes in this post.please do that in your next post. Good post, a responsive theme certainly helps to attract readers and hopefully a mobile presence brings even more readers.